Modern organizations need to address increasingly complex challenges including how to represent and maintain their business goals using technologies and IT platforms that change on a regular basis. This has led to the development of modelling notations for expressing various aspects of an organization with a view to reducing complexity, increasing technology independence, and supporting analysis. Many of these Enterprise Architecture (EA) modelling notations provide a large number of concepts that support the business analysis but lack precise definitions necessary to perform computer-supported organizational analysis. 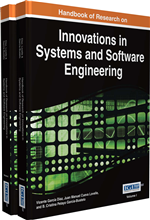 This chapter reviews the current EA modelling landscape and proposes a simple language for the practical support of EA simulation including business alignment in terms of executing a collection of goals against prototype execution. Business and IT alignment has remained an ongoing concern for organizations since the 1980s (Luftman, 2000). Throughout this period, researchers have addressed the importance of alignment and in particular the need for congruence between business strategy and IT strategy (Chan & Reich, 2007). While there are multiple definitions for business and IT alignment (BIA) including integration, linkage, bridge, fusion or even fit, most are consistent with the definition derived from the Strategic Alignment Model (SAM) (Henderson & Venkatraman, 1993). They state that alignment is the degree of fit and integration among business strategy, IT strategy, business infrastructure, and IT infrastructure. Enterprise Architecture (EA) aims to capture the essentials of a business, its IT and its evolution, and to support analysis of this information: it is a coherent whole of principles, methods, and models that are used in the design and realization of an enterprise's organizational structure, business processes, information systems and infrastructure. (Lankhorst, 2009). In addition to presenting a coherent explanation of the what, why and how of a business, EA aims to support specific types of business analysis including: alignment between business functions and IT systems, and business change describing the current state of a business (as-is) and a desired state of a business (to-be). Thus EA has the potential to serve as the basis of machinery that can be used to address BIA (Wang, Zhou & Jiang, 2008; Pereira & Sousa, 2005). Alignment occurs in the context of an organization and it is relevant to explore the notion of an organization to better understand this context. Ours is an organizational society such that organizations are the dominant characteristic of modern societies. One rationale for the existence of organizations posited by Carley and Gassser is that they exist to overcome the cognitive, physical, temporal and institutional limitations of individual (Carley and Gasser, 1999). While there are many ways in which these limitations can be overcome and the structure, form or architecture of an organization contributes to such efforts, decades of research indicate that there is no optimal organizational design. Instead, the challenge morphs into one of adaptability and response to change. First we present here a necessarily brief overview of some of the key definitions and perspectives on organizations that underpin how we intend to articulate the concept of an organization in the context of the model driven enterprise. We first begin with a definition of the term organization recognizing that there are multiple definitions depending upon the perspective taken. The definition is reported from (Parsons, 1960). Organizations are social units (or human groupings) deliberately constructed and reconstructed to seek specific goals. Component: A collection of logically consistent information and behaviour with state. Typically a component offers up a collection of services via a public interface. Connector: A conduit for messages between components. Temporal Logic: A language that can be used to express conditions over system execution by making statements about the future or the past. SOA: A Service Oriented Architecture requires software components to publish logically coherent groups of system functionality. Reification: Is a process of moving static or otherwise inaccessible information into user-supplied dynamic data and using it to affect the execution of a system. Domain Specific Language: A language that has been tailored to support concepts from a specific application domain. To be compared with a General Purpose Language. EDA: An Event Driven Architecture is driven by events that trigger behavior in software components. Invariant: A condition that must hold throughout the execution of a system or for some well-defined period of the system lifetime. Message: The key mechanism by which behavior is triggered in component-based systems. A message may be sent synchronously or asynchronously. Model Driven Enterprise: Using modeling approaches and technologies to address enterprise-wide use cases, for example to establish strategic business alignment. CEP: Complex Event Processing allows multiple arbitrarily structured temporally related events to drive computation.